As in the title this is a Flex 1500 non technical review. Simply put, it is a list of things I like and don’t like about the Flex 1500. And let me tell you right away, there’s not much I don’t like. This is a nice little QRP SDR transceiver. I purchased the Flex 1500 a few months ago off of ebay. Unlike others have found I think it’s pretty easy to setup, especially if you know a little about comm ports. I had it operating in about 30 minutes. The most difficult part was locating the two small programs (utilities) that it uses for virtual audio cables. Don’t let the “virtual audio cables” intimidate you. The great thing is I only use one USB cable to do everything! It’s so much better than having two or three cables going from the radio to the computer. The utilities we use are Virtual Audio Cable (choose self support when buying and it’s only $25.20) and Virtual Serial Port Manager (free for Hams). I saw a few videos on YouTube that helped me set these up and the Flexradio forum was helpful too. It was a little intimidating at first, but everything came together and it works great. I never needed to go back and redo anything. Set it up once and you’re done. If you’re unfamiliar with all of this what I can suggest is to make a note of these virtual audio cables and comm ports to refer back to. Write down the numbering and whether they are line in or line out. You can even draw a block diagram to make sense of it all. This comes in handy when configuring software programs like JT65-HF, N3FJP, N1MM or HRD. Now for the radio. The Flex 1500 has an excellent receiver. It is ranked #17 in the Sherwood Receiver Test Data, but it is really a great little receiver in my opinion. I am using Bose powered speakers and the audio is beautiful. Combined with the receive equalizer it is unbelievable sound for a radio this inexpensive. Of course the Bose cost $100, but it’s worth it in my opinion. At first I had some cheap powered speakers and they just don’t compare to the Bose Companion 2. Huge difference! I have found using the preamp for weak signals really does work well. Combined with adjusting the AF and AGC-T (RF Gain) I can usually pull out the weak signal and make it copyable. There are multiple settings for the preamp and I find those very useful. In the Flex 1500 and PowerSDR the NB is excellent as is the NR and ANF, but what really impresses me is the TNF (Tunable Notch Filter). It knocks out interfering signals within the passband and it really does work. See the video! This all comes from the PowerSDR software. At this time the latest version is 2.7.2. I haven’t had any complaints about the transmit audio. People tell me it sounds real good and some say it is excellent. It punches through the QRM. I use a Heil BM-10 with HC5 element and I also use a Audio‑Technica ATR 30 mic. There are so many ways to adjust the transmit audio I gave up and just use a couple of profiles. They work good for me and I can break through a pileup with only 5 watts. I’ve worked DX SSB with this rig numerous times. When the radio first came out some people complained about CW sending and using an iambic key. They complained of a delay at 30wpm. I believe it was cleared up with a fix in PowerSDR. I experienced what I thought was a lag, but it ended up being a problem with my setup and not the Flex 1500. I used the radio in a cw contest with N1MM Logger+ and it performed very well. I was surprised at how many contacts I made and I didn’t have trouble using it with the contest software. Search and pounce was awesome! It works great with HRD and N3FJP software too. As far as digital work goes I’ve used it with PSK31 and JT65. It performs flawlessly and with only 5 watts it’s really amazing. The best thing is I don’t have audio cables to hide or that get in the way. It’s a very clean setup! To wrap things up, if you are looking to try a SDR, this is a great choice. I can’t think of anything I don’t like about it. It’s only $700 new. That’s hard to beat. Every once in a while it doesn’t want to start for me, but I think that’s only because I shut it down improperly. The solution is to log off and back on to my laptop. No big deal. My only real complaint is that it doesn’t have vox and that would be nice to have. I just don’t know how well it would work so maybe that’s why they didn’t make it part of PowerSDR. It’s only 5 watts, but I drive an Ameritron amp with it and get approximately 80 watts out. I even use this little radio with my amp to call a net two hours each week on 75 meters. It is reliable, has a great receiver with filters and I really enjoy just listening to it. 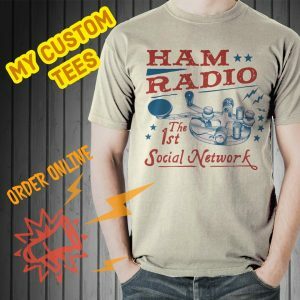 I’ve been very happy using it and I think most Hams would too. I love the Flex 1500 and agree with most of your comments. My biggest complaint is Ive never found a way to use it with Linux Mint? Nice to hear from you and thank you for the comment. I liked the 1500 and wish I never sold it. I could still be using it for QRP. 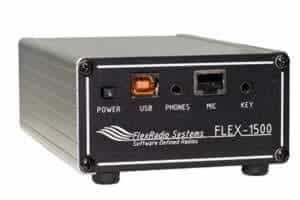 From what I read it doesn’t look like Flex will have Smart SDR for Linux. I think it would be great, but it’s probably not going to happen in my lifetime, Lol.